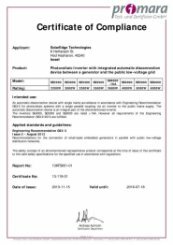 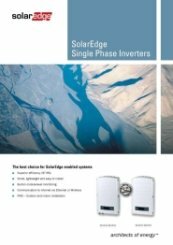 Please Note : This inverter has no trackers, therefore requires optimizers to function The SolarEdge inverters combine a sophisticated, digital control technology and a one stage, efficient power conversion architecture to achieve superior solar power harvesting and best-in-class reliability. 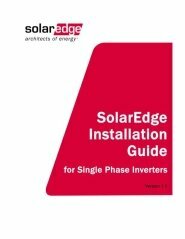 The fixed-voltage technology ensures the solar inverter is always working at its optimal input voltage, regardless of the number of modules in a string or environmental conditions. 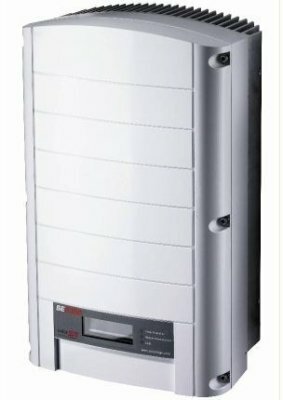 Inverter Features: • Solar inverters specifically designed to work with power optimizers • Superior efficiency (>97%) • Excellent reliability with standard 12 year warranty (extendable to 20 years) • Small, lightweight and easy to install • Built in module-level monitoring receiver • Communication to internet via cabled broadband / Wifi • IP65 – Outdoor and indoor installation.